The largest-ever study of its kind, conducted by a multi-institutional research team led by scientists from the US Department of Energy’s Lawrence Berkeley Laboratory (Berkeley Lab), in partnership with Sandia National Laboratories, universities, and appraisers, concluded that home buyers are more than willing to pay a premium on their house if it comes with a solar PV energy system. The study found that home buyers were willing to pay more for homes with solar PV systems — systems that averaged about $4 per watt of PV installed — to a premium of about $15,000. According to Berkeley Lab, “more than half a million US homes had PV as of 2014”, and that’s a number that continues to grow. 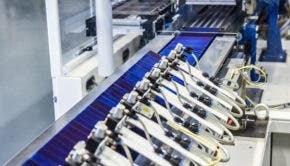 Figures from GTM Research suggest that a new solar PV system is being installed in the US every two-and-a-half minutes!